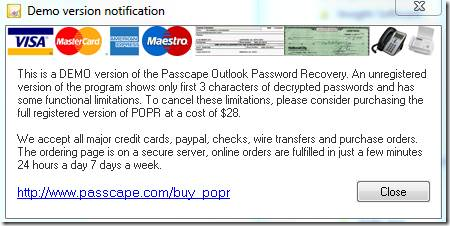 Passcape Outlook Password Recovery (POPR) can help you back up your Outlook email accounts. 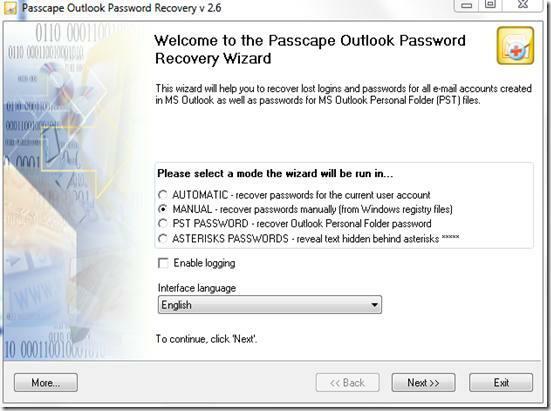 Download from http://www.passcape.com/outlook_password_recovery and install. Use the Automatic Mode to back up the Outlook Email Account settings from the computer that POPR is installed on. The demo version will show you the first three characters of the passwords and will recover the other settings for all the email accounts. If you already know the passwords or have a good idea of what they are, POPR will still prove to be very useful. – only the first three characters are shown. The Demo version has no time limit. This can be useful to jog your memory as to what the passwords are. If you know the passwords you can still use the Demo version of the program to recover the other Outlook Email Account settings. 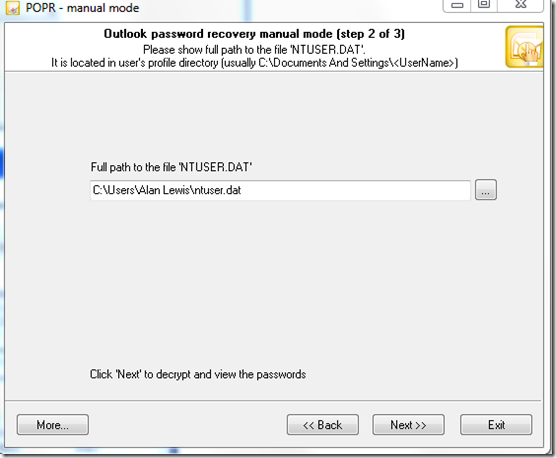 Use Passcape Outlook Password Recovery POPR in manual mode to will recover Outlook email account settings from NTUSER.dat. Just plug the hard drive of the dead system into an external caddy and use the Manual option of Passcape Outlook Password Recovery to navigate to the external drive and open NTUSER.dat (in Windows XP = C:Documents and Settings<>NTUSER.dat or in Vista/Windows 7 = C:Users<>NTUSER.dat) or copy the NTUSER.dat file onto the PC on which you have installed POPR and browse to it. Outlook Express Password Recovery works in a similar way.